"This famous choir now has a history (albeit a fairly recent one) of putting together programmes likely to have a wider appeal than those devoted to a single composer or to music for the Anglican liturgy. 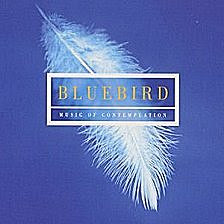 This new recording takes its title from Stanford's imaginative and readily memorable setting of The Blue Bird... The various pieces follow one another smoothly, with scarcely a break in sound or disruption of the pervasive tranquillity. Performances are fine: choral tone and balance sensitively controlled, with forms of accompaniment nicely varied to include harp and strings as well as organ."